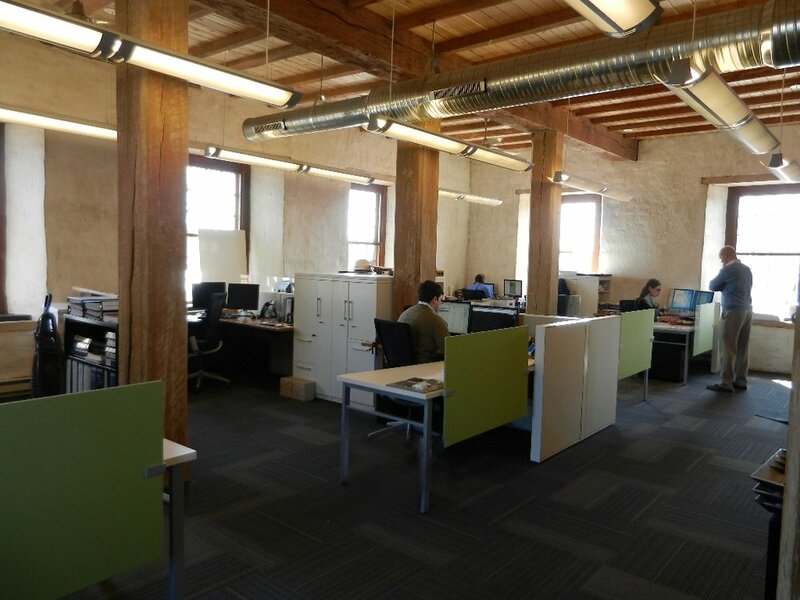 The office expansion embraced the history and beauty of the 150 year old mill, while adapting its use to meet current needs. 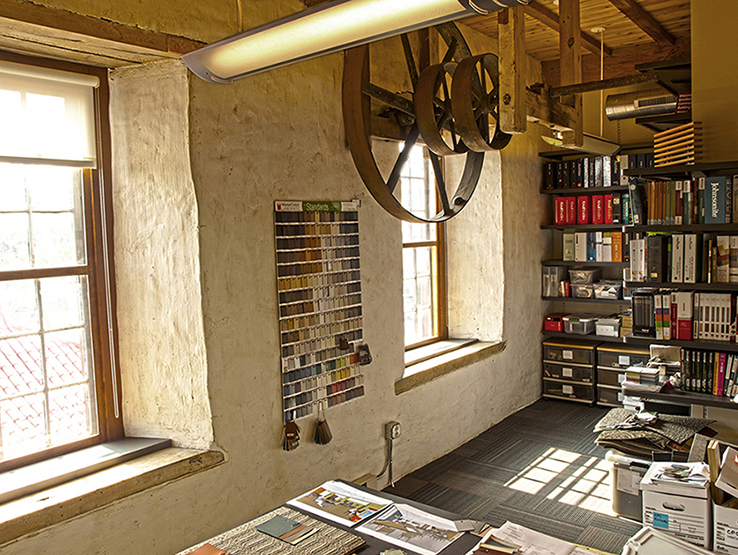 The wood planking that is seen on many of the interior walls is reclaimed from the interior of the mill itself. Many of the original mechanical fixtures have been left mounted in their original locations which are now inside the new office space. In addition to respecting the historical value of this space the layout of the renovation allowed many of the interior spaces to have significantly more natural light than they had previously. Increased efficiency was gained by the use of new workstations and strategically placed storage towers. 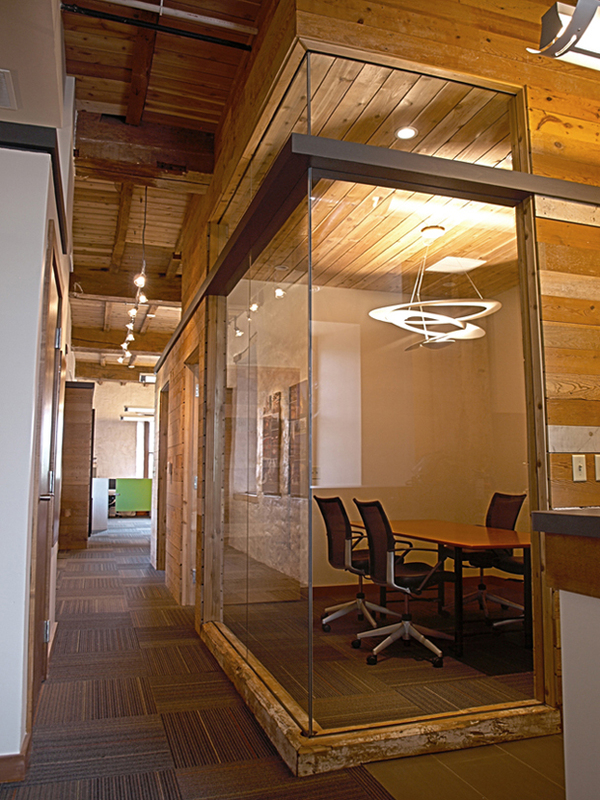 Low-height screening of desks with glass adds a spark and shine to the rustic building.